It’s always a good idea to see where a shop can better economize, but using sub-par welding wire should not be one of those ways. A shop’s filler materials should always be high quality, because using cheap welding wire in Mississaugaand the GTA will ultimately cost you in the long run. You’ll have to go back and repair more of your welding jobs, because you can’t guarantee cheap welding wire. It will also add to the wear and tear of your equipment, because many welding jobs will have to be fully or partially redone. Those re-welds cost more time and money than if you had used quality welding wire. 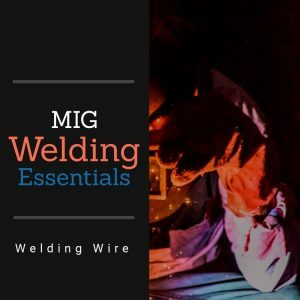 Especially in robotic welding shops, there is a greater margin of error when using cheap welding wire. In larger runs of welded parts, there will be exponentially more incorrectly welded parts if you use sub-par welding wire. In the business world, reputation is everything. You don’t ever want a dissatisfied customer. Welding jobs that are poorly done or need repairs damage your reputation. Also, just as we mentioned in our first point, the added labor and time put into repairing faulty parts costs more than using quality welding wire in the first place. Truth be told, it may initially cost more to buy quality welding wire but you’re saving in the long run. There’s no better advertisement than a part or product that’s done right the first time and has been welded with filler materials that will last. JosefGas offers your company expert advice on gasses, equipment, welding wire and so much more. With over 4 decades of experience, we have the information and know-how to help your welding business grow. Call us at 416-658-1212 or request a free quote to find out how we can help your business.